America is dotted with great RV and Camping Parks that attract adventurers all summer long, but they are not all created equal. 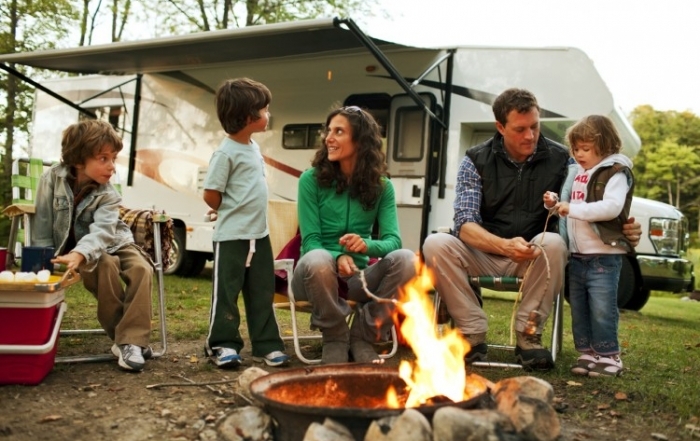 Before you load up your RV, camper van or family SUV, take the time to check out the very best of resort camping parks across the country. GuestRated.com is a website created by former Disney Company executive Bob MacKonnon. GuestRated has done extensive surveys and measuring of guest satisfaction in order to rank parks in the United States. Parks are getting better and better every year as they vie for the loyalty of nearly 50 million campers every year. Only 34 of an estimated 4,000 campgrounds and RV parks earned an ‘A’ rating in 2014 – that is less than one in 100 parks. This is the closest RV and Camping Park near the nation’s capital of Washington, DC. Campers enjoy easy access to several transportation options for visiting the attractions in Washington, D.C. Then return to relax in large pool complex, hot tub, sauna and more. This is a beautiful resort in New York’s acclaimed Lake George Adirondack Region. It’s outdoor adventure at its best with multiple heated pools (indoor and out), private fishing pond, miles of biking trails, live entertainment, trolly transportation and a 2 acre off-leash pet recreation area. This park is an easy 1 1/2 drive from the George Washington Bridge in New York, and has a beautiful Pocono Mountain location close to the Delaware Water Gap National Recreation Area. Amenities include large pool complex, outdoor fitness multi-gym, enclosed dog run, hand dipped ice cream in the camp store and mining for gemstones. You’ll also be close to golf courses and casino. Located right on the Atlantic Ocean, this is the place to dig your toes in the sand and enjoy the southern beach scene. Ocean Lakes is the largest campground on the East Coast and enjoys one mile of oceanfront beach. In addition to all the entertainment and golfing attractions of Myrtle Beach, Ocean Lakes has a 2 acre Family Fun complex featuring large pool area with lazy and adventure rivers, mini golf and the Nature Center Discover Lab. This is the spot to return to a pioneer lifestyle in a beautiful mountain top setting. The campground has 80 mountain top acres at a 2,000 ft elevation offering scenic outlooks in a wooded setting. They offer large wooded campsites, rustic cabins and furnished cottages for rent. This campsite enjoys a grassy, well manicured setting with lovely flower gardens. It’s located a short five minutes from Maine sandy beaches and the lively town of Kennebunkport, where you’ll find live theatre, golf, deep sea fishing, kayaking and top-shelf restaurants. Red Apple Campground has a large family recreation area that includes new pickleball courts. Of course you can’t miss a Maine Lobster bake, so they can have lobsters delivered right to your campsite or cabin. Just minutes from Lake Michigan, the Sunny Brook RV Resort has 65 acres along the sandy shore of a 5+ acre lake, known as “Sunset Coast”. The resort has a large heated pool complex, pickleball courts, walking trails and lakeside activities of fishing, paddle boats and kayaking. Located along the shores of Grapevine Lake, the Vineyards Campground offers both lakefront and forest views. You’ll be located on one of the best fishing lakes in North Texas and will enjoy hiking, kayaking, lots of outdoor activities.. Nearby you’ll want to tour multiple wineries and tasting rooms, ride a vintage railroad, and attend the Grapevine Opry.